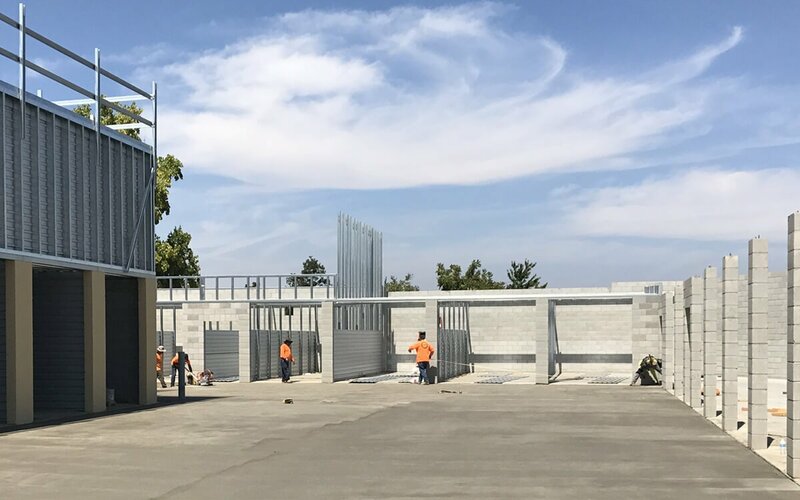 Construction is progressing nicely and is nearing completion at the new Oakley Self Storage located at 4700 Main Street in Oakley. This brand new, state-of-the-art mini storage has several types of units to accommodate your needs. This includes drive-up units that are easily accessible for backing up with large moving trucks. In addition, several units are temperature-controlled for added comfort during hot summer and cold winter months, which provides peace of mind that your valuables are being kept at a controlled temperature. At Oakley Self Storage, the security of your possessions is our primary concern. Our facility is built to meet all of your security needs and is safeguarded behind security gates. In addition, the facility is under 24-hour closed-circuit camera surveillance, and each unit is individually alarmed, giving you peace of mind. Whether you buy a lock from us or bring your own, you are the only person with the combination or key to your storage space, which means you can feel your space is private and secure. At Oakley Self Storage, we will always treat you with the courtesy and respect that you deserve. Please contact us at 925-625-7867 for pre-leasing opportunities. We look forward to serving the community of Oakley! The staff was very informative, friendly the facility is very clean I will recommend the facility to others.